Halter simplifies your farm operation, helping you to shift and monitor your herd. Automatically move the cows from the paddock to the shed and back again allowing you an extra hour of sleep. Simply and easily draft an individual cow or small mob away from the main herd. Set the exact square meterage per cow, and get feedback on how much each cow is eating or not eating. 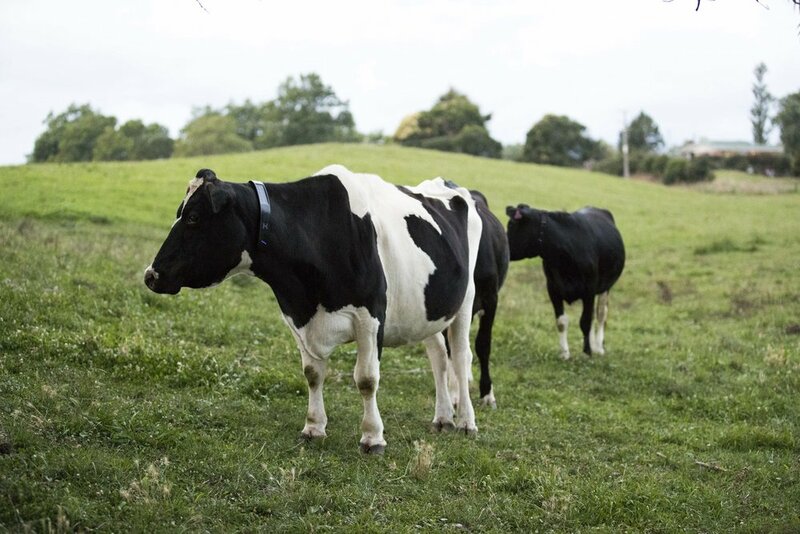 Determine the location of each cow on the farm and where it has been, giving full traceability. Halter will alert you when it detects a cow that is on heat allowing you to identify more cows in heat and improve your artificial breeding rates. Halter will alert you when any of your cows are becoming lame. Through early detection, we can minimise the effects on the cow and save you a hefty vet bill. Halter will alert you when each cow is about to calve allowing you to monitor the process and reduce postpartum complications. Are you signing trial farms? Yes, we are. Fill in the form here to apply to join the Halter pilot farm programme. Do you plan to integrate with other systems? Yes, we know farmers are tired of having multiple applications and entering the same data into multiple systems. We know you just want something that is smart, simple and doesn't create more work for you. This means we are constantly looking at existing farm systems, technologies and tools to see how we can work together to make things easier for you, the farmer. Is Halter available outside of New Zealand? We have a global vision and are taking international pre orders ahead of roll-out in North and South America, Australia and Europe. Halter is a subscription service. A lot of farmers have told us they’re tired of running old hardware that won’t sync with new software. We own and care for the Halter Hoops - you just pay for the app. Give us a call to discuss a pricing plan for your farm. When will Halter be commercially available? We’ve started on pilot farms in New Zealand and would encourage you to sign-up quickly as there is a queue forming.